This is a Tru Moc shoe from Polished Buff. The knitting on the upper highlights the richness of the style. 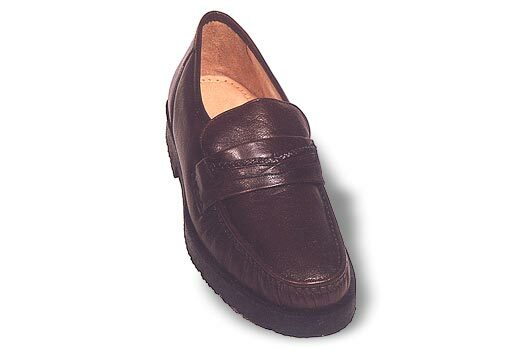 With complete foam padding in the upper & leather lining, this is a casual shoe that is easy for the feet. The half insole, the characteristic of the Tru Moc, provides extra flexibility. The sole used is TPR.